David's recipe makes 8 muffins. Since he gives weight measurements, it was easy to divide the recipe in half to make a few for a taste test in my first go-round. I didn't realize the paper molds I had, which are 2.75 inch by 2 inch high, were slightly larger than the ones he used so I ended up with 3 muffins...three very good muffins. If you like a simple hand-mix batter, this is one of those. Since we're talking about olive oil muffins, using a good extra-virgin olive oil is obviously recommended. I used Rao's extra-virgin olive oil, which I just bought along with a bunch of their other products. We were in Las Vegas recently on vacation and got to eat at the Rao's restaurant there (if you're familiar with the restaurant in New York, you know it's essentially impossible to get a table there unless you really know somebody); the food was fantastic and it inspired me to come home and order a ton of Rao's food products (you probably know already but in case you don't, their jarred marinara sauce is the best). I love cakes and baked goods with orange flavor and this one has some orange zest and a mixture of orange juice and Grand Marnier liqueur together. It all works beautifully with the olive oil somehow and I highly recommend following along with the recipe. My muffins took about half an hour in the oven to rise and set. It's lovely when cooled and you've got that crusty top going on. Even when you lose that crust, you've still got all the moist and flavorful cake to enjoy. I was a little worried that I might have over-mixed the batter (despite consciously trying not to) since my muffins weren't as fluffy as David's looked. Luckily, a few bites told me that all was well. These are some seriously delicious muffins. Give them a try if you think they're something you'd enjoy! These make a fabulous treat for brunch...and I know we all love brunch! In a large bowl, whisk together the flour, sugar, salt, baking powder, and baking soda. Make a well in the center of the bowl. Whisk the olive oil, milk, eggs, orange zest, and mixture of orange juice/Grand Marnier together in a medium bowl. Pour the wet ingredients in the center or well of the dry ingredients. Stir with a rubber spatula until just combined. Do not overmix, which will cause the muffins to be tough; small lumps in the batter is fine. Fill muffin molds 2/3 to 3/4 way full. Bake until the center is just set and muffins tops are golden brown, about 35 to 40 minutes (check early since mine were ready in about 30 minutes). Remove from the oven and let cool before serving. Muffins can be kept in an airtight container, at room temperature, for 2-3 days. Though you lose the fresh crusty tops you get with a fresh muffin, they stay nice and moist and the flavor even develops a bit more the next day. Very moist and delicious! I love the smooth fine texture and the beautiful golden colour. The ability to make truly great muffins eludes me, and these look like truly great muffins! Maybe I was simply lacking the right recipe before? (One can hope!) 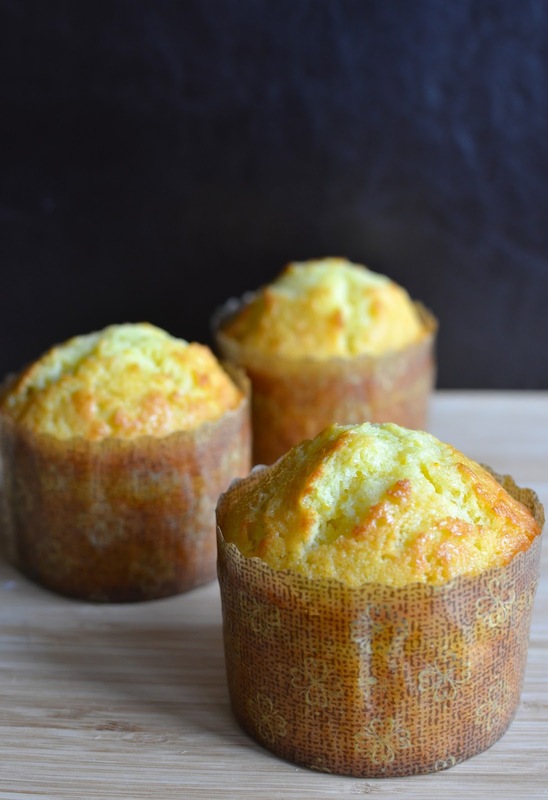 I know olive oil does amazing things to the texture and moisture in cakes and cookies, so your tempting description of these muffins makes them hard to resist! You are my go-to person for small batch wonders, Monica! You must have very high standards but that's certainly a good thing. : ) I was really surprised by how good these were. My hubby and I are big fans. Recipes with gram measures make dividing into small batches so easy, though David L. already shrank it down a lot to begin with. I recently read David's post and love that you made it! The texture looks ahhhhmazing! Really a gorgeous treat and you know we enjoy a little Grand Marnier in our baking over here. Hope you had a lovely weekend! These were so good, Monica. Definitely recommend! Thank you! Delicious looking muffins! You know I've never tested out olive oil sweet recipes seriously before. Only once I think I tried a chocolate olive oil cake and wasn't impressed. These muffins are urging me to give it another shot as they look moist, doable and obviously healthy. And David, of course! No messing with the genius. I am totally in love with your muffins! They have to be so moist with that olive oil. Keeping this recipe to make pronto! They were very tasty; hope you try them one day! The texture on these muffins looks incredible!! I've only recently started playing with olive oil in baking but I am totally in love. Must try these out! The muffins look really delicious,... I actually love olive oil in muffins. Good to know...I will be less shy about using it in baking now. Oh Wow! These muffins look so delicious. You know Monica, in Portugal they have exactly the same sort of muffins (Rice Muffins and Olive Oil) thanks for always suggesting great recipes. Love how moist and delicious these olive oil muffins look. Whenever there is a choice between butter and olive oil, I would always opt for olive oil. So this is a MUST try recipe for me. These muffins look incredible, Monica! I love the olive oil in here - the texture is perfect, so soft and delicious! Kelly, these were so good. We were kind of amazed for some reason. : ) Hope you're having a good week. They look so good on the inside, I'd love a bite or two right now. I think you'd like it, Adina. Thanks. I hear you! 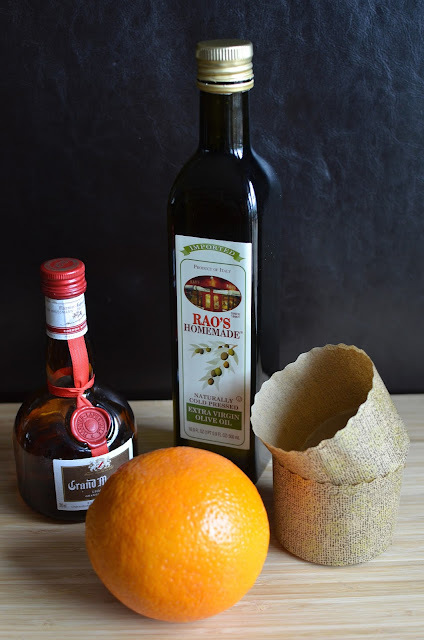 I love the punch of flavor from orange zest and Grand Marnier is one of my favorite liqueurs (next to Amaretto). : ) Great to hear from you, Jo! And I want more of these paper molds. I'm hoarding mine since I have to order them and they're a bit more expensive than regular muffin papers. These turned out perfect Monica! That's awesome that you recreated these muffins from the NYC restaurant. I bet yours are even better! I'm so happy David Lebovitz shared his recipe! So tasty, Ashley! Thank you and enjoy your week. I love individual treats and this muffins look really good! I'm already imagining a lot of variations for them - chocolate chips, raisins, nuts... yum! I love olive oil and these muffins look so fluffy and moist! I highly recommend them...very yummy! These olive oil muffins look and sound magnificent, Monica. I agree with you about the variety of eateries in NYC and the inability to keep up, and also the recommendations on Food52! Thank you for sharing a winning recipe! Goodness, Monica, those look absolutely perfect. I LOVE olive oil cake, in general, and you can tell from the photos here that these were major winners. I really have to get some of those muffin papers, too: those make everything look just that much better. definitely trying these. I thought they tasted much better than they looked (the paper definitely helps in the looks department!). I think my husband and I were struck by how good they are maybe in part because there's no nuts, no crumble, no spices to speak of to rave about but the muffins were just so delicious. I highly recommend!